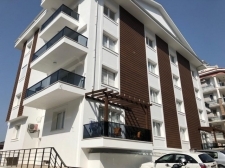 Investment property in Turkey by Place Overseas, hand-picked investment options in Turkey assuring strong capital growth and stable income prospects. Call us on + 44 (0) 20 8371 0059 to discuss your investment targets in confidence. Our Turkey real estate investment advisers will provide hard facts and solid guidance to help you make the right investment decisions. According to The Republic of Turkey Prime Ministry Investment Support, Turkey ranked the 6th most visited tourist destination in the world in 2010 with 28.5 million foreign visitors. It is expected that this figure will exceed 30 million in 2012. Similarly, the number of overseas property buyers is increasing year on year - making Turkey one of the most popular real estate investment markets in the world. Favourable property prices, exceptionally strong economic growth and Turkey's unrivaled natural beauty are all contributing factors to its popularity as a prime investment destination. Turkey's economy grew in excess of 8.3% annually in 2011 and 2012, second only to China. IMF projections place average GDP growth for years 2012 - 2017 at 6.9% per year. More exciting news for property investors: Turkish Central Bank Real Estate Index for the period 12 months to August 2012 places average property price increase in Turkey at 14.9%. This means an average home in Turkey grew in value by 14.9% from August 2011 to August 2012. Even more interesting to note is that the rate of growth since January 2010 is accelerating. Accordingly, 2013 may very well see real estate price index hitting up to 15% on the previous year. Compared to negative growths experienced in most Euro zone countries, no wonder Turkish real estate is one of the most attractive investment propositions in Europe. In the last quarter of 2012, Fitch raised Turkey's credit rating to investment grade, a move that is expected to be followed by S&P and Moodys in 2013. This is a solemn call for larger institutional investors such as real estate investment funds and overseas pension funds to take an even closer look at Turkish real estate and businesses as a viable addition to their portfolios. This will most certainly mean major cities like Istanbul and Antalya will come to the forefront of institutional investments. 60% of Turkey's population is under the age of 30, a sharp contrast to the aging European population. With changing social patterns, young Turks are in search of new homes and investment properties in major cities, where they live and work. With the easing of mortgages and successful monetary policies employed by the government since 2003, property finance is now available to the masses in Turkey for the first time. Turkey's property hungry population is now having an investment fest like never before. Turkey is currently experiencing a shortage of good quality housing. According to statistics the figure is in the region of 2 million - certainly an opportunity for the foreign investor to enjoy a feast! Besides strong capital growth, Turkish real estate also offers some excellent rental prospects, particularly in the popular tourist resorts. 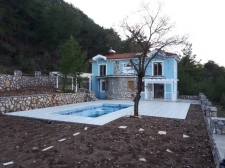 Investing in a holiday home in Turkey is not only investing in one's lifestyle but also building a solid nest egg. With careful selection, one can achieve up to 8% pa rental returns in delete some high end resorts such as Kalkan, Bodrum and Kas. The influx of discerning tourists means that owners of high-end holiday homes along the Mediterranean and Aegean coasts of Turkey enjoy up to 25 weeks occupancy at exceptional rates.